Born in Tirana in 1955, a graduate of Albanian Literature and Language at the University of Tirana in 1979, fluent in many languages (French, English, Italian, Spanish, and Catalan) from which he translates into his own language, Bashkim Shehu is above all a fiction writer. Author of a dozen novels and many collections of short stories, his writings are translated into different languages from English, French, Spanish, German to even Rumanian and Serbian. From a very young age, Bashkim Shehu dedicated himself to literature. Albanian Film Director – Scriptwriter - Producer. Kujtim Çashku a native of Tirana, studied Higher Institute of Arts in Tirana, Institute of Theatre and Film in Bucharest and a post graduation at Columbia University - CSHR, NYC . He started filmmaking profession in 1975, working as assistant director in Kinostudio and from 1978 became a film director. He realized several movies and has won various national and international prizes with the r movies as, “Face to face” co-author with Piro Milkani and scriptwriter Ismail Kadare, “The hold out hand” , “Broken April” , “Post-mortem”, “Murder while hunting”, “The ballad of Kurbin” , “Kolonel Bunker”, “Magic Eye” etc. Objavio pedeset knjiga iz oblasti poezije, teatrologije, književne kritike i historije književnosti, esejistike i baletne libretistike. Dobitnik je prestižne nagrade za poetsko stvaralaštvo Kočićevo pero. Režirao sto dvadeset sedam teatarskih predstava u teatrima Sarajeva, Tuzle, Zenice, Banja Luke, Mostara, Splita, Rijeke, Beograda, Prijedora, Bitole... Počasni je član Crnogorskog narodnog pozorišta u Podgorici. Za svoj teatarski rad nagrađen je Šestoaprilskom nagradom Grada Sarajeva, te brojnim nagradama na teatarskim festivalima, kao i nagrade iz oblasti dramske pedagogije Grozdanin Kikot. Pripala mu je i nagrada Sloboda Međunarodnog centra za mir u Sarajevu, kao i priznanje Mimar mira Centra za mir i multietničku saradnju iz Mostara. Žbanić was born in Sarajevo in 1974, to Bosniak parents. Žbanić went to local schools before attending the Academy of Performing Arts in Sarajevo, where she got a degree. She worked for a time in the United States as a puppeteer in the Vermont-based Bread and Puppet Theater and as a clown in a Lee De Long workshop. In 1997, she founded the artist's association "Deblokada" and started making documentaries and short films. ​prof. Boška Karanovića. Član je ULUBiH-a / Udruženje likovnih umjetnika Bosne i Hercegovine/ od 1986.godine. Učestvovala je na brojnim kolektivnim izložbama u zemlji i u inostranstvu . Dobitnica je 7 nagrada za grafiku.Radi na Akademiji likovnih umjetnosti u Sarajevu od 1993 - na Odsjeku grafika u zvanju vanrednog profesora. Obavljala dužnost Prodekana za nastavu i prodekana za međunarodnu saradnju u dva mandata od 2005 do 2011 godine. Od 2015. godine je izabrana je na dužnost dekana Akademije likovnih umjetnosti u Sarajevu ,BiH. He was born in Sofia, Bulgaria, in 1966. He grew up in a family of scientists and translators from French and English. Alek Popov graduated from St. Constantine Cyril the Philosopher Lyceum for Ancient Languages and Cultures in Sofia and later received his master’s degree in Bulgarian language and literature from Sofia University St. Clement of Ohrid. Popov’s first collection of short stories The Other Death was published in 1992. During the 90ies Popov produced several collections of short stories reflecting the grotesque and absurd post-communist reality. In 1995 his book Games of Magic won the National sci-fi prize Graviton. Popov’s short stories and essays have been translated into German, English, Hungarian, Polish, Croatian, Serbian, Czech, French, Turkish, Danish and etc. They are part of many anthologies of modern Bulgarian and European prose, among them Best European Fiction 2011 (Dalkey Press Archives) and Hotel Europe (Wunderhorn, 2012). Popov’s most well-known collections include: Nasty Dreams, For Advanced (Helicon Prize, 2002), The Skin Weed, Mythology of Transition, and The Radical Thinker’s Companion. She was born in Sofia in 1965. She studied at the Fine Arts Academy “Jan Matejko” in Krakow. In 1993, she graduated in Painting under the great Polish artist Prof. Jerzy Nowosielski. She is a member of the Union of the Bulgarian Artists. He is a Bulgarian writer born on March 5, 1950. The Colonel Bird won the British Council Award for Central and Eastern Europe, and was later adapted into a film, Voenno Poleva Bolnitza (Field Mental Asylum). He is regarded as one of Bulgaria's leading playwrights. Anastasis Vistonitis rođen je u mestu Komotini, u severnoj Grčkoj, 1952. godine. Studirao je političke nauke i ekomomiju u Atini. Od 1983. do 1988. živeo je u Sjedinjenim Američkim Državama (u Njujorku i Čikagu), a veliki deo vremena provodio je na putovanjima po Evropi, Severnoj Americi, Africi, Australiji i Aziji. Od 1996. od 2001. bio je član odbora E.W.C (Federacije evropskih pisaca), a sada je njen potpredsednik. Pored poezije, eseja, prikaza i članaka o književnosti koji su objavljivani u mnogim vodećim listovima i časopisima, Anastasis Vistonitis objavio je devet zbirki poezije, dve knjige eseja, tri knjige putopisa i knjigu kratkih priča.Bio je glavni urednik dokumentacije za kandidaturu Atine za Olimpijske igre, 2004. Njegova dela prevedena su na 14 jezika i objavljivana su u časopisima poput Lettre International, P.E.N. International, Translation, Sodobnost, Helicon i 2b (Časopis za ideje). Kolumnista je vodećeg grčkog lista, Vima. ​He is a Greek poet, essayist, and author of the alphabetical “anti-memoir” Dictionary of Memories whose poetry in English translation has been published and reviewed in major literary periodicals – including Agenda, Grand Street, Harvard Review, Poetry, Ploughshares, The Iowa Review, and World Literature Today – and in international anthologies such as New European Poets. His work has also been translated into Bulgarian, Croatian, French, Spanish, Turkish, and other languages. He is the author of six volumes of poetry in Greek, including Roads of Ink, and of numerous essays on literature and cultural history, in English as well as Greek, while poets he has translated include Wallace Stevens. He was a co-founder of the influential Greek literary reviews Tram and Hartis and an editor of literary and scholarly publications in the United States. He has served on the Board of the Hellenic Authors’ Society, the Poets Circle, the Ottawa International Writers Festival, and the Modern Greek Studies Association. Born in Thessaloniki and educated at Reed College and at The Graduate Faculty of the New School for Social Research, he studied and worked in Oregon, New York City, Ottawa, Boston, Washington, D.C., and Dublin, before returning to Athens. She's a playwright and screenwriter from Prishtina, Kosovo. She is the author of five plays, including plays for children, and several short screenplays. In 2005, Saved by the Stick premiered in the Children’s Theater Center in Skopje. Doruntina is also the co-author of Travels to Unmikistan (2003), a Kosovar-French collaboration project, which premiered in Kosovo and was subsequently shown in France and published in a bilingual edition by L’espace d’instant in Paris. 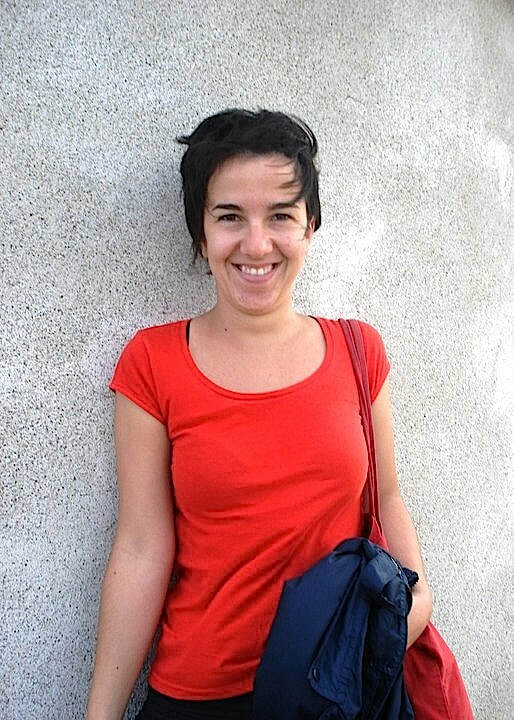 Her play The Finger (2011) was awarded the prize for Best Socially Engaged Contemporary Play (2011) in a competition organized by the Heartefact Fund in Belgrade, Serbia. It also won the Golden Laurel for Best Balkan Contemporary Play at the MESS International Theater Festival in Sarajevo, Bosnia and Herzegovina (2013), and the prize for Best National Play in the Flaka e Janarit theater festival in Gjilan, Kosovo (2015). It premiered at the Bitef Theater in Belgrade in 2012, followed by productions in the Albanian Theater in Skopje in 2013, the Sartr Theater in Sarajevo in 2014, as part of the triptych Balkan Requiem in the Hundsturm Theater in Vienna in 2014, at the National Theater of Kosovo in 2015, and at Kujtim Spahivogli Experimental Theater in Tirana, Albania in 2018. It has been translated into Serbian, BHS (Bosnian, Croatian, and Serbian), English, French, German, Italian, and Turkish, and it has been published in the Serbia, Kosovo, USA and Turkey. Her screenplay for the forthcoming feature film, Vera Dreams of the Sea, is currently in production. He was born in 1962 in Prizren, Kosova, Veton is professional photographer. He studied Economics and English Language and Literature at University of Prishtina, Kosovo. In 2002 he co-founded DokuFest, the largest and most important film festival in Kosovo, where he is currently serving as Artistic Director and Head of the Programme. Veton is also curator of DokuPhoto, an annual showcase of documentary photography that runs alongside film festival. Currently, he is involved in promotion of film through the weekly screenings of socially engaged as well as educational documentaries under the series "Documentary Mondays". Veton is a member of the selection committee of Cinema Eye Honors, an organization that recognizes and honors exemplary craft in nonfiction filmmaking in the world. He is also member of the board of Balkan Documentary Centre, Sofia based organization that promotes and encourages co-operation between documentary filmmakers of the Balkans. ​He was born in 1953 in Skopje, then a capital of the Socialist Republic of Macedonia, a constituent country of the former Socialist Federal Republic of Yugoslavia. He graduated in 1977 at the University of Belgrade Faculty of Philology, General and Comparative literature department, and finished postgraduate education in 1982 also in Belgrade and in Sorbonne, France. He worked in several domestic and foreign magazines, for example as a member of the editorial board of Orient Express (Oxford, UK) and World Haiku (Kyoto, Japan). He wrote screenplays for film, theatre, TV shows, radio dramas and comic books. His works were translated in English, French, Italian, Japanese, Russian, Polish, Hungarian, Czech, Slovak and other languages. ​She was born in Ohrid (1961). She is a professor at the Department of General and Comparative Literature, at the Faculty of Philology ‘Blazhe Koneski’ in Skopje. She is the Chairperson of the Independent Writers’ Association of Macedonia and an Editor of the literary Magazine ‘Nashe pismo’. She is a member of the Macedonian PEN Center. She has been a longtime editor of the regional literary and cultural magazine ‘Sarajevske sveske’, published in Sarajevo (B&H). Sheleva was the director of the Summer School ‘Macedonian Cultural Identity’, within the ‘St. Clement's Summer University’, held in Ohrid, 2011. She taught at the course ‘The Balkan Subject and Its Genders’, within the Ohrid Summer University for post-graduate students, held in Ohrid, 2001. 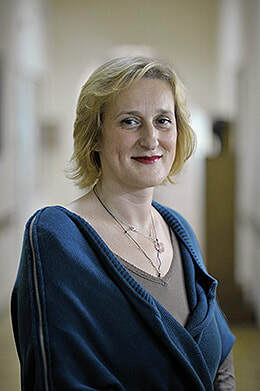 She was the manager of the scientific and research project ‘Doubled Otherness – Balkanism Gender Aspects’, within the Foundation ‘Insitute Open Society’ – Macedonia, 2004. Sheleva was a visiting professor at the post-graduate studies school ‘Feminism in Transnational Perspective’, within the Interuniversity center in Dubrovnik, Croatia, during the academic years 2007 and 2008. Branislav Mićunović, Ambassador of Montenegro to the Republic of Serbia, President of the National Commission for UNESCO, is a theater director and a long-time drama professor at the Faculty of Dramatic Arts in Belgrade and the Faculty of Dramatic Arts in Cetinje, where he is also in charge of the graduate studies programme.Branislav Mićunović was elected Minister of Culture of Montenegro in three mandates, in 2008, 2010 and 2012. He is the honorary president of the International Theatre Network NETA and the honorary member of the International Academy Mihai Eminescu. He received two honorary doctorates from the Romanian State University ``Constantin Brâncuși `` and the Moldavian University of European Political and Economic Studies "Constantin Stere". In 1997 he was appointed Director of the renewed Montenegrin National Theatre. Thanks to his artistic and managerial contributions, creation of repertoire and promotion of this key cultural institution in Montenegro, this Theatre today holds a special place on the regional theatrical map. She was born in. 25 March 1942, Timişoara. She is a Romanian poet, essayist, and political figure. She took her name after Blandiana, near Vințu de Jos, Alba County, her mother's home village. In October 2017, she was announced as The Griffin Trust For Excellence In Poetry's twelfth recipient of their Lifetime Recognition Award. ​Her editorial debut took place in 1964 with the booklet of poems Persoana întâia plural ("First Person Plural"), with a Foreword written by Nicolae Manolescu. She became known for her Calcâiul vulnerabil ("Achilles' Heel", 1966) and A treia taină ("The Third Secret", 1969). In 1966, Blandiana appeared for the first time at the International Poem Contest (in Lahti, Finland). 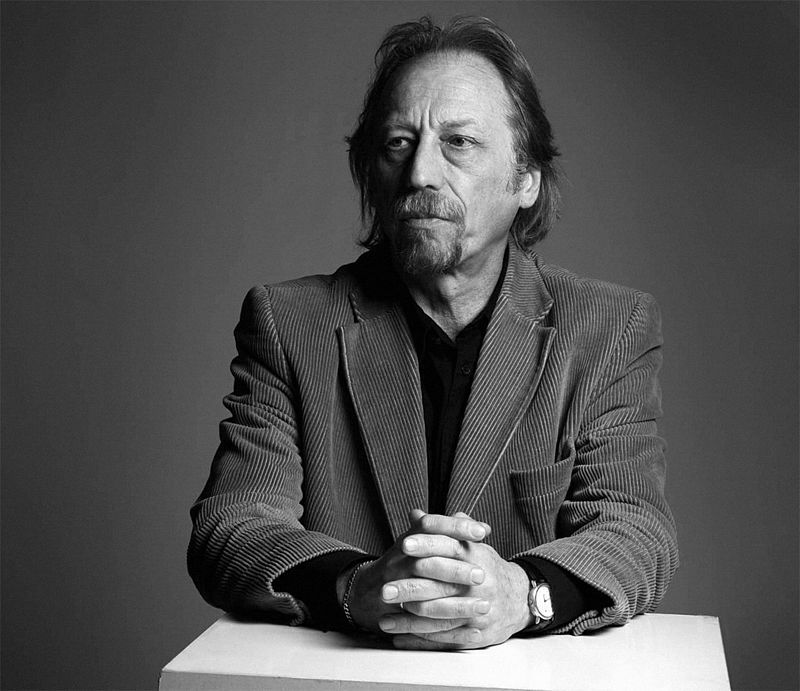 He was born in June 1943 in Buzău, Romania and is a well-renowned theatre personality and critic. He studied at the Academy of Drama and Film in Bucharest, and permanently moved to Paris in 1973. Professor I.E.T. (Institut d'Etudes théâtrales) at the University of Paris III, Sorbonne Nouvelle in Paris and at the Theatre Studies Faculty of the University of Louvain la Neuve in Belgium, Banu founded the Experimental Theatre Academy in Paris in 1990, together with Michelle Kokosowski, which he ran until 2001, when the Academy’s activities ended. He has made an impact in multiple functions: General Secretary (1985-1992), President (1994-2000), then Honorary President of the International Association of Theatre Critics; he has also received various titles, such as UNITER Member, Doctor Honoris Causa of the IL Caragiale National University of Theatre and Film, Bucharest in 2006, and Doctor Honoris Causa at several other European Universities. He was born January 29, 1956 in Rădăuţi) is a Romanian-French playwright, poet and journalist living in Paris. He is internationally known especially for his writings in the French language. He graduated in 1980 from the History and Philosophy Faculty of the University of Bucharest. Between 1977 and 1987 he wrote 8 plays in two or three acts, about twenty short plays, and some screenplays, but all were turned down by the censors. In 1987 he was invited to France by a literary foundation, and he asked for political asylum. Between August 1988 and October 1989 he lived in London, where he worked for the Romanian section of the BBC. Žebeljan was born in Belgrade, Serbia, and drew international attention with her opera Zora D. which was commissioned by the Genesis Foundation from London. It was premièred in Amsterdam in 2003, directed by David Pountney and Nicola Raab. The same production opened the 50th season of the Vienna Chamber Opera in the same year. After the success of the opera Zora D., which had 22 performances in five European countries in just four years, Zebeljan composed The Song of a Traveller in the Night, for clarinet and string quartet as a commission of the Genesis Foundation for the opening of Bill Viola's exhibition The Passions at the National Gallery in London in 2003 (performed by the members of The Academy of Saint Martin in the Fields). He was born in November 16, 1946, He is a Serbian film director. 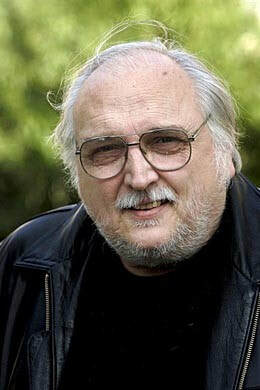 Born in Belgrade, Yugoslavia, Šijan graduated film direction and directed a handful of TV movies in the late 1970s. He caught a big break with his first full-length feature Ko to tamo peva in 1980. The enormous success of that film written by Dušan Kovačević led to the duo collaborating on another project - 1982's Maratonci trče počasni krug, which also achieved considerable critical and commercial success. Over the coming years Šijan directed two more notable films - Kako sam sistematski uništen od idiota and Davitelj protiv davitelja. As of 2001, he is teaching at Loyola Marymount University film school. His favorite movie is Howard Hawks' Rio Bravo (1959). Vladislav is a Serbian author, translator, and publisher. He was born in Belgrade in 1954 and later studied philology at the University of Belgrade. His early writing is inspired by esotericism and experiences of eastern art, and his later books concentrate on historiographical metafiction and national and individual identity. In 1993 he founded the publishing house Geopoetika, which publishes fiction as well as nonfiction books about history, art, rock & roll, and archeology. Geopoetika has published Serbian Prose in Translation, a collection of Serbian books translated into English. His best-known work is his 2008 novel, Hamam Balkanija, for which he won the International Literature Prize Balkanika. Its chapters alternate between two timelines, both of which use characters based on real people. Baykam's father Dr. Suphi Baykam was a deputy in the Turkish parliament and his mother Mutahhar Baykam an architect-engineer. 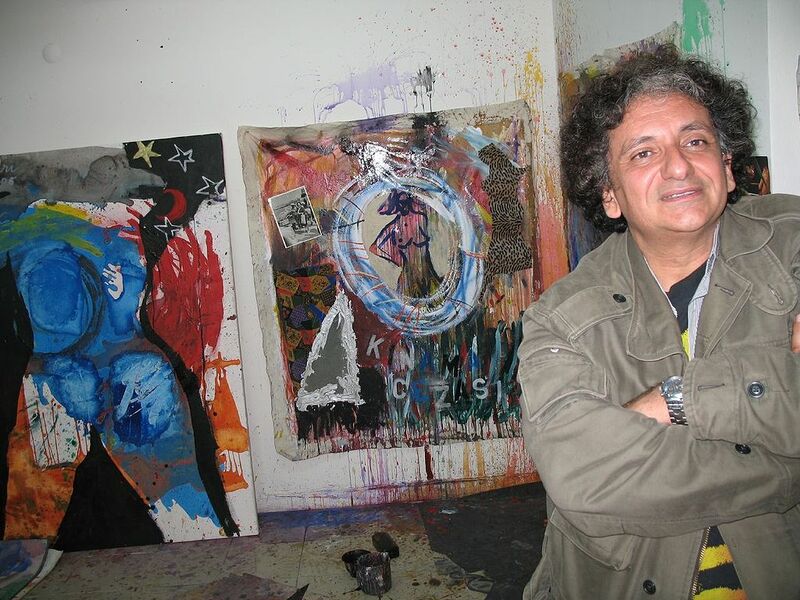 Baykam claims that he started to paint when he was only two years old, and has had several exhibitions since the age of six in Bern, Geneva, New York, Washington, London, Rome, Munich, Stockholm, etc. during his childhood years. He also claims that he was recognized as a child prodigy, although there are no valuable records to prove his claims. Baykam studied at the Sorbonne University in Paris from 1975 to 1980 and got an MBA degree. During this time, he also studied drama in L'Actorat, Paris. He lived in California during the years 1980-1987, studied painting and film-making at the California College of Arts and Crafts, in Oakland. He had several shows in New York, California and Paris. He returned to Turkey in 1987 and has been living in Istanbul since. Prof. Dr. Gül İrepoğlu studied architecture at the Istanbul State Academy of Fine Arts. When she was a doctoral student, she started to work as an assistant at the Department of Art History, Faculty of Letters in Istanbul University. She completed her doctorate in 1984. She became an associate professor in 1991, a full professor in 1997. She gave her classes on “the Renaissance Art”, “Baroque Art”, “Neoclassic and Romantic Art”, “European Art in the 19th century”, “Ottoman Art in Westernization” “Comparative History on Art” and “Ottoman Miniature Art”. Prof. İrepoğlu retired from Istanbul University after she served 26 years. She has numerous publications on the Painting Art in the 18th – 20th centuries, Portrait of Ottoman Sultans, Artistic relationship between East and West and History of Jewelry. He was born in April 5, 1951, in Gaziantep and he is a Turkish writer. In the late 1960s, he published novellas and essays in Turkish magazines. After graduating from Galatasaray High School in 1970, he studied at the Sorbonne. In 1974, he graduated from the Sorbonne's Department of Modern French Literature. In 1979, he received his doctorate in comparative literature after completing his dissertation on Louis Aragon and Nazim Hikmet. He returned to Turkey but the unrest there in 1980 persuaded him to go back to France.